I've known Mike Vosburg since the late 90's at least, when I directed him as a storyboard artist on "Roswell Conspiracies, Myths and Legends". I had been aware of his work since the early '70's when his work first appeared in various DC Comics magazines. This piece I bought from Mike at the San Fernando Comic Book Convention a couple of Sundays ago. 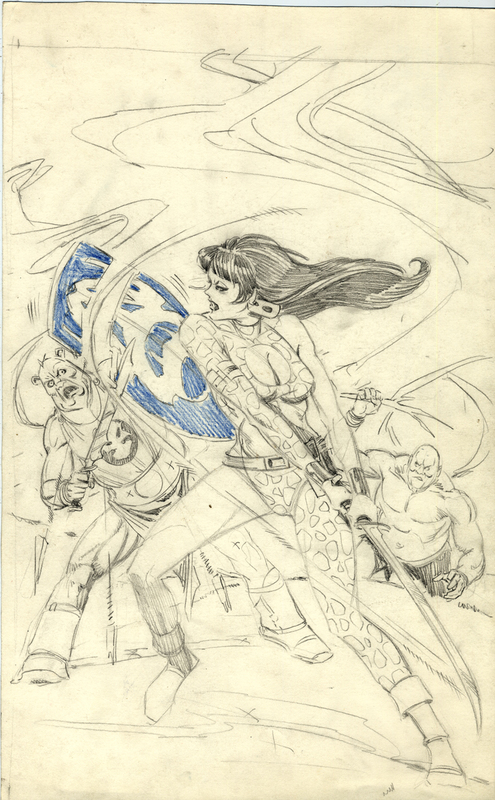 It was the pencils to the cover of Starfire #3, from about 1975. 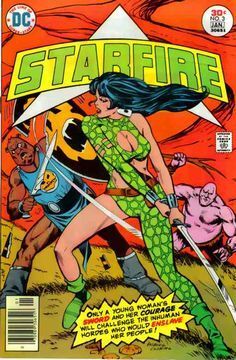 As a 15 or 16 year old I liked his work, especially when inked by Mike Royer or Bob Smith, but the Vince Colletta inking on most of Starfire's run really hurt the book. Luckily, in this case, we (now I) have the pencil artwork.